Jackson wins Group 2 in Lexington, KY! What a GREAT Weekend the Labor Day shows were for Jackson! He only showed two days and picked up two very nice Best of Breed wins, but then went on to also earn GROUP Placemements as well. 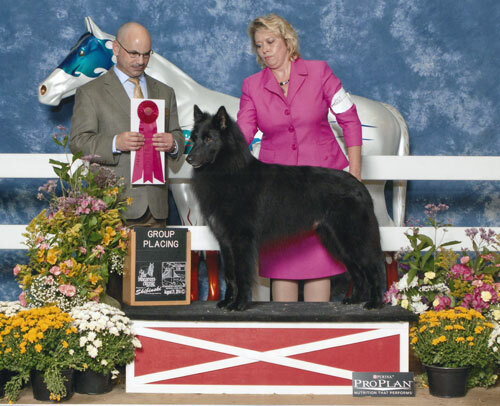 On Sunday, he picked up this LOVELY Group 2 win under Judge Mr. Harry (Butch) Schulmann. The competition was extreme in the group this day and Jackson really performed AMAZING!!! Good Boy!